Easy-to-understand prayers for your little one. Each lesson is beautifully paired with attractive illustrations and inspiring quotes from Gurbani. These lessons will help your child develop a bond with Sri Guru Granth Sahib. Your child will learn to live by Guru ji’s teachings and be encouraged to embrace Waheguru ji in his or her life, every step of the way. 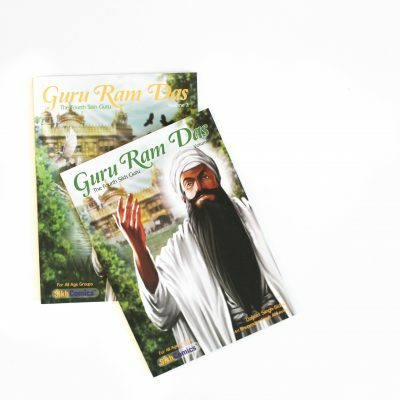 CHILDREN DISCOVER GOD’S BLESSINGS: ‘My Guru’s Blessings’ opens our eyes to the wonderful blessings that surround us in everyday life. A simple walk in the park, or a fun day at the beach is an opportunity to appreciate God’s wonderful Creation. A heartfelt talk with a friend, or a fight with a bully teaches us important values such as compassion and forgiveness. God resides within each one of us, and ‘My Guru’s Blessings’ teaches us how to embrace the Sikh Gurus’ teachings in all we do and say. 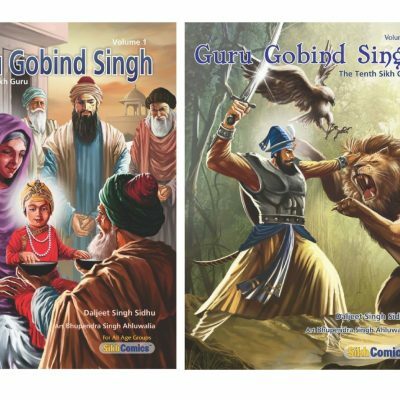 LEARN THE SIKH GURUS’ TEACHINGS: These one page stories are simply written in English as well as Punjabi. Each story is based upon real life situations encountered by a brother-sister duo and how this not only brings them closer to God, but also increases their devotion towards the Sikh faith. Valuable teachings from the Sri Guru Granth Sahib are interwoven in each of these unique episodes. PRECIOUS LIFE LESSONS BASED UPON GURBANI: Parents and children can easily relate to the day-to-day incidents, beautifully laid out in each story. Every story conveys a precious life lesson that allows us to experience God’s love, and reminds us to always stay faithful to his divine glory. Appropriate lines from Gurbani with simple translations follow each story, emphasizing the Gurus’ teachings and their significance in our daily routines. INTERESTING STORIES WITH BEAUTIFUL ILLUSTRATIONS: The illustrations are fun and attractive, and are an eye-catching treat for youngsters and adults alike. The characters are bursting with color and life, and trigger the imaginations of young minds. They help the children to focus and remain involved in the story. 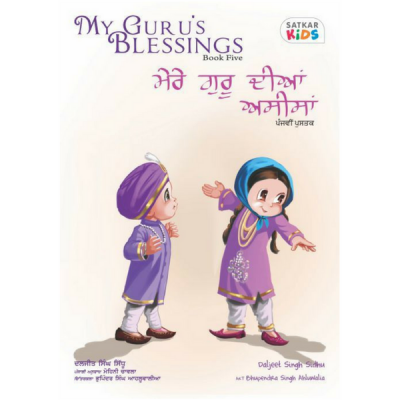 CONNECT YOUR CHILD WITH THE SIKH FAITH: ‘My Guru’s Blessings’ is a wonderful way to connect our children to God, and educate them about the Sikh faith. These interesting stories guarantee the undivided attention of children, and will surely set them upon the path of spiritual living.